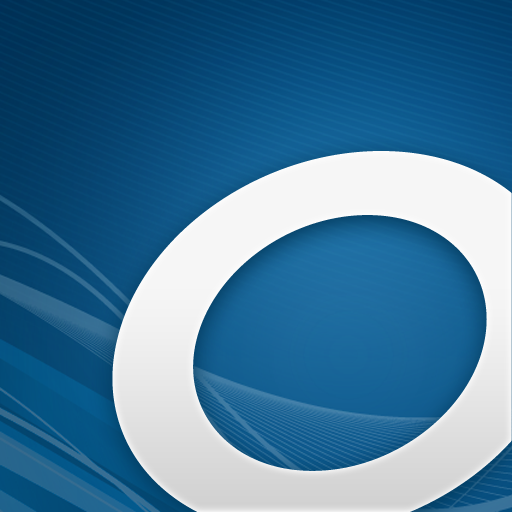 OverDrive Media Console (Free) by OverDrive, Inc. is a universal app that allows you to download books onto your iPad, iPhone, or iPod touch for free. Sure, you can get the classic public domain titles for free via any number of apps including Apple’s own iBooks. This is great if you want to read Jane Austen or Charles Dickens. But what if you want to read the hottest new novel, the one on the top of the New York Times Bestseller List? Or how about the latest book club selection? 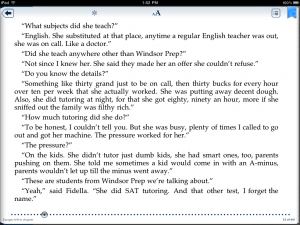 If you want to read those on your iDevice, you can purchase them through apps such as iBooks, Kindle, Nook, and many more. But if you’re an avid reader like I am, the cost of purchasing e-books can add up rather quickly. 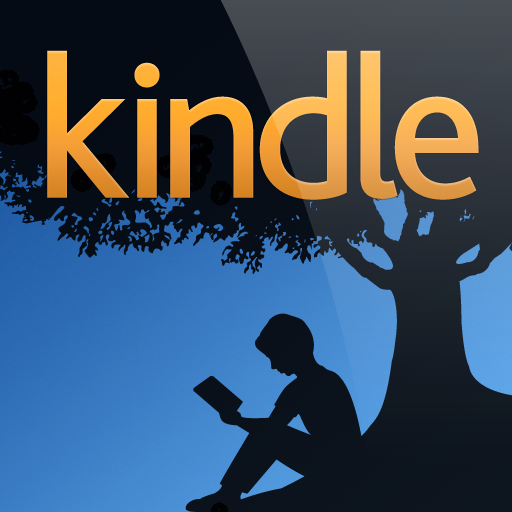 So, how can you get popular contemporary books for free? 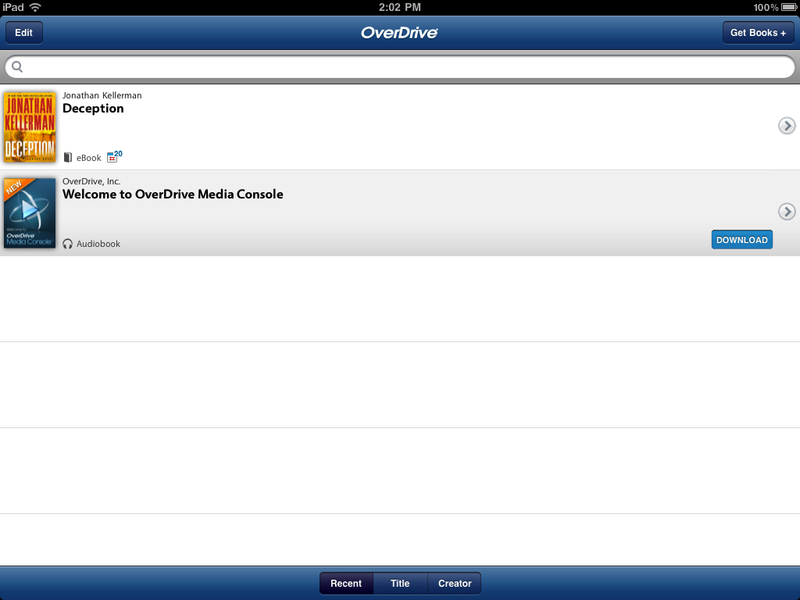 The answer is OverDrive Media Console. 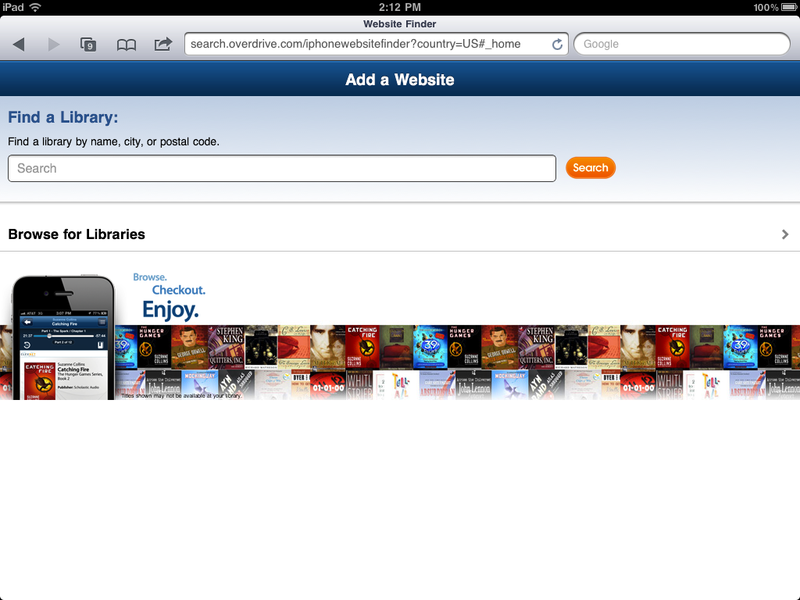 OverDrive is associated with over 13,000 libraries around the world. You can choose between audiobooks and print. You’ll need to check your own local library’s website to see if they participate. 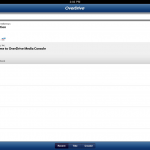 Make sure you’ve got a valid library card and the OverDrive Media Console app on your iDevice, and you’re good to go. 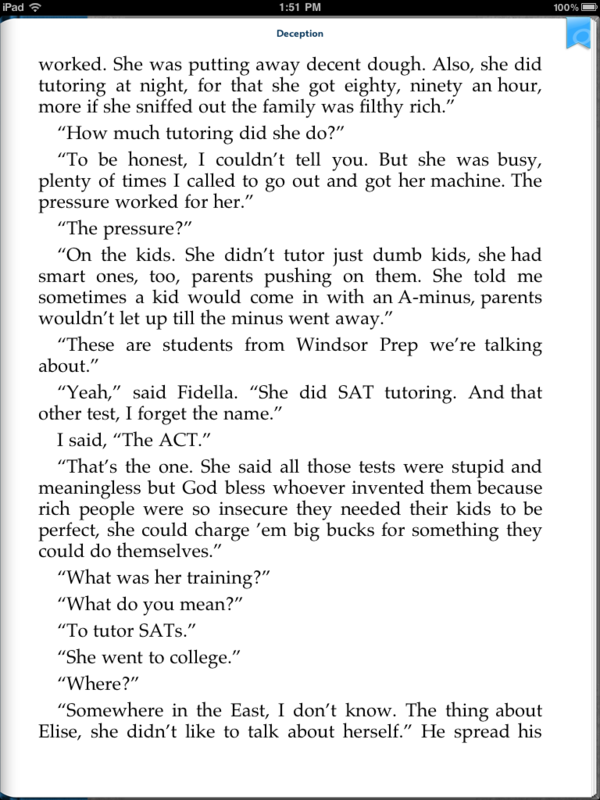 Download the app, and tap “Get Books +” at the top right of the page. 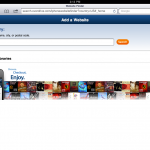 Tap “Add a Website +” and type in your zip code, city, or local library’s name. This brings up a list of libraries in your area. Select yours and follow the instructions for downloading books. There are limitations, of course, but luckily none of them involve spending a dime. Only a certain number of people can check out a title at one time. I’m not really sure why, since it’s all digital, but it is indeed the case. Also, you can only check out a certain number of titles at one time. In my local library’s case, it’s ten books at a time. I think this is plenty, because how many books can you read at once? 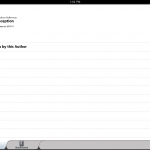 Even if you have a few titles handy on your iDevice for your spouse and/or your kids, ten is more than enough. And finally, you can’t keep each title indefinitely. At my library, you can keep each e-book for three weeks, just like actual books. Unlike actual books, however, you can’t renew at the end of the lending period (though I suppose you could just check it out again). 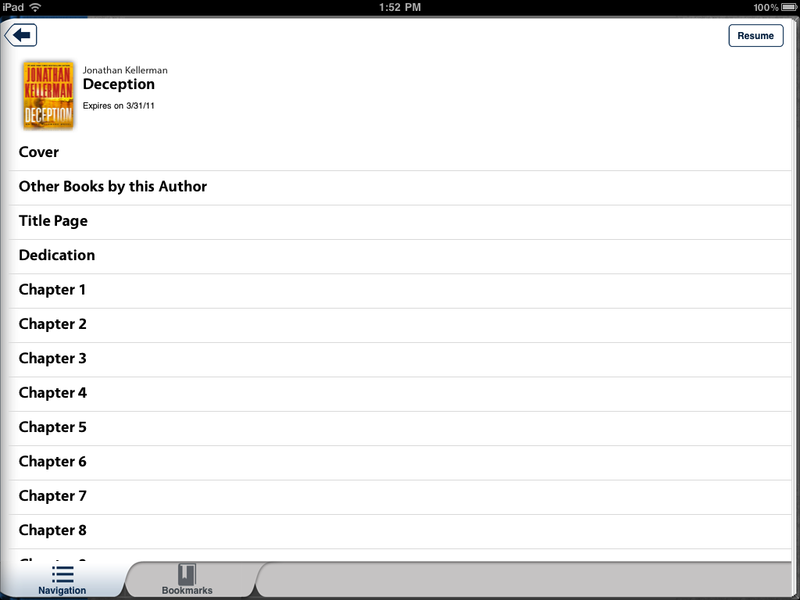 The e-book simply disappears off of your iDevice after three weeks. Also, selection is limited. You won’t find as many titles here as you would in a pay-per-download app. I suspect the list of OverDrive titles will just grow and grow over time, however. 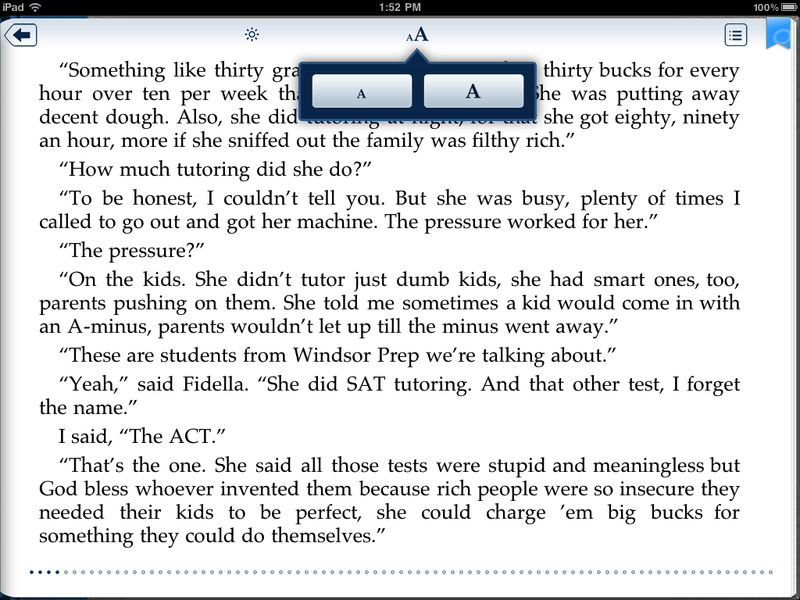 The experience of reading in this app is a bit more bare bones than some of the other e-reader apps. You can bookmark pages, go to individual chapters, and adjust brightness (with a slider) and font size (choose regular or large). You can also choose between portrait and landscape mode. That’s about it: no highlighting, notes, or dictionary access. 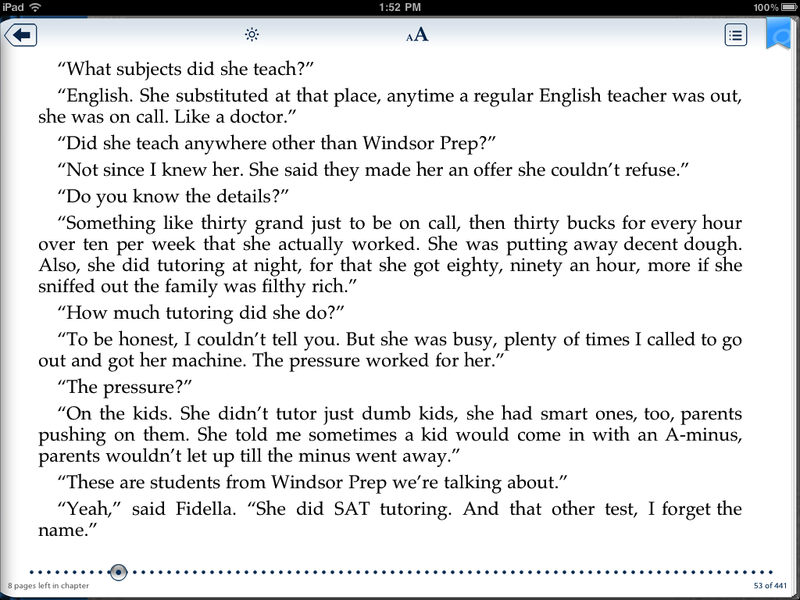 Still, the luxury of being able to read the newest titles right on my iDevice for free is just about irresistible. 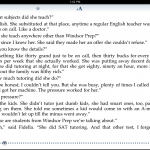 Despite the limitations, OverDrive Media Console is my e-reader of choice.